American Alpine Institute - Climbing Blog: Natasha's back! Natasha is back in the office and feeling very refreshed! Friday, our last day in Red rock, came, and I reluctantly packed up my things as Kurt took down our tent and we were ready to go. Driving away from the campground I felt sad to leave but was so happy to have this experience! 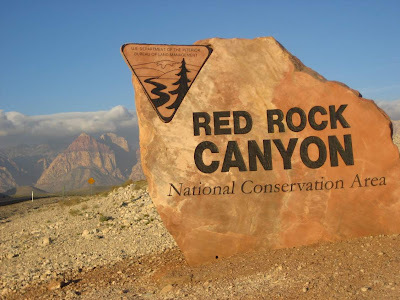 I will definitely be back to Red rock soon for some sun and great multipitch routes! One last look at Red Rock...sigh. 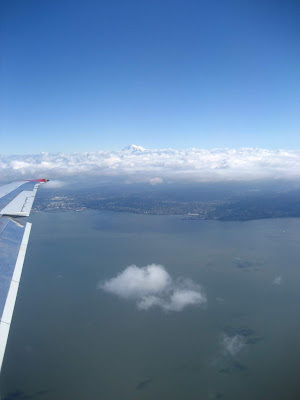 As we were flying back to Bellingham, Kurt and I caught some great views of Washington’s Cascade Range. We had fun trying to figure out what mountain was what and saw St. Helens, Adams, Rainier, Baker, Shuksan, and the Stuart Range. I felt inspired by seeing the peaks I still have yet to climb. I suppose that could happen to any climber flying into the Northwest. If this urge strikes you, know that American Alpine Institute is here to help! Southern Washington's Mt. 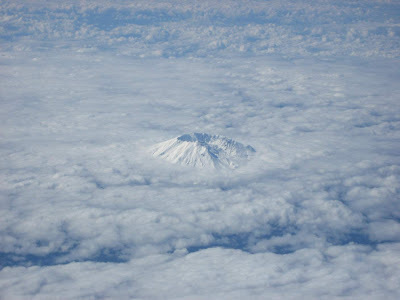 St. Helens, with it's crater from the 1980 eruption. Approaching Bellingham, with Belligham Bay below. 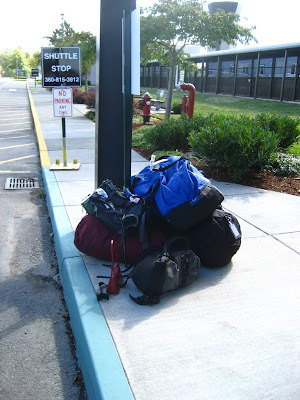 Back at the Bellingham Airport, waiting for our pickup. 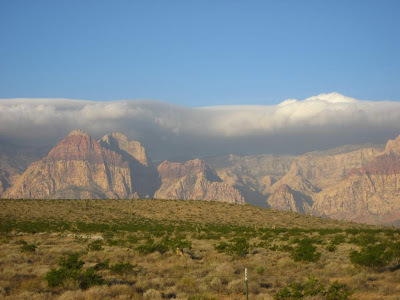 The Red Rock escarpment, with clouds rolling in.